Just to be clear, I don't do site reviews here (so please don't ask). That's not the purpose of this website. That said, I do want to explain why I love bedbugger.com so much - and show you how you can get the most out of what this incredibly valuable resource has to offer. So, consider this more of personal introduction and a road map to the most helpful bed bug resource on the web. Simply put, Bedbugger.com is the best, most comprehensive source of reliable bed bug information on the internet - bar none. It's a shining beacon in the sea of alarmist media hype, bed bug mis-information, and downright scammy websites that hawk the latest "bed bug miracle cure". Bedbugger was started and is still run by "Nobugsonme" (she prefers to keep her true identity private). She's not a professional, but like me, she has been through a bed bug battle of her own. And she really knows her stuff! Over the years, bedbugger has attracted the attention of - and become the online gathering place for - some of the best and brightest minds in the fields of entomology and pest control. That's a real credit to her integrity and seemingly tireless work! The only drawback to bedbugger.com is that the site is so comprehensive, it can be a bit overwhelming. The Forum is What Makes Bedbugger Really Shine! The bedbugger forum is a great place to connect with other bed bug sufferers, as well as bed bug experts. It just amazes me how much time experts spend selflessly answering questions, making bed bug IDs, and offering sage advice. 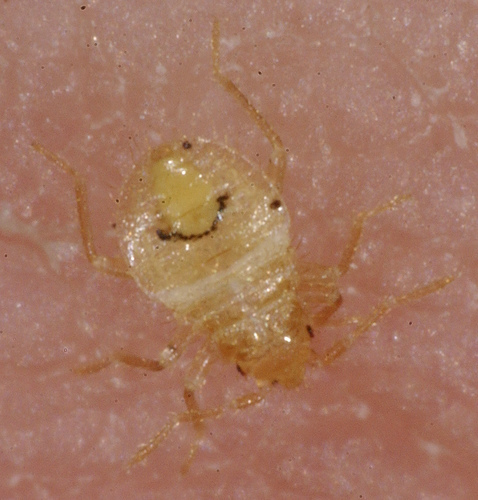 Get an expert ID on any bugs or other potential evidence of bed bug infestation you've found. For more complete information on how to do that, read this. You'd be shocked to know how many people think they have bedbugs, then find out it's something else entirely! Get bed bug pest control advice from professionals. If you decide to take the DIY path, you absolutely should run your treatment plan by the pros on the forum and wait for their input - before you do anything. Find support from others who have dealt with bed bugs too. This is absolutely priceless. When we were going through our bed bug ordeal in 2011, the forum was a lifeline that helped me keep my sanity! If you want to post, you must register with your email address to create a log-in ID and password. But, you can create any username you want (that's available) to protect your identity. In fact it is recommended that you don't use your real name. Consult specific FAQs that deal with the particular areas where you need more help. Don't try to read all of the FAQs at once. If you get overwhelmed, stop. Take a deep breath and regroup. Come back here to review the basics if you need to, or ask for help on the bedbugger forum. Use the forum to get expert advice. Confirm that you really have bedbugs with an expert ID. Get a second opinion to make sure your exterminator's treatment plan makes sense. And don't ever try to do any self-treatment without running it by a pro on the forum first. Stay connected and get support when you need it. Dealing with bed bugs can be very isolating. The forums can serve as a "virtual support group" to help you get through the experience. Reduce your stress with some "off topic" relief. The O/T (off topic) threads are some of my favorite parts of the forum. You can find them here. They range from serious suggestions for dealing with anxiety to downright silly reflections on life with bedbugs. HANDY TIP: You can use the Google search box in the upper right corner of every page on bedbugger.com to search for specific information within the site. I hope this has been helpful. And I hope to see you in the forum!